If you have been arrested for and charged with DUI in New Hampshire, it is imperative that you contact a reputable, experienced, successful DUI lawyer to handle your case. Attorney Teale has had significant success in obtaining favorable outcomes for his clients faced with New Hampshire DUI charges and DWI related offenses. His intricate knowledge of the law, and his passionate yet rationale approach to defending his clients have earned him an exemplary reputation within New Hampshire’s legal community. Attorney Teale is well respected by prosecutors, administrative agencies, and state and local law enforcement. His reputation and experience allows him to negotiate very favorable resolutions for his clients, or to obtain excellent trial results in your case. At Teale Law, we are committed and dedicated to fiercely defending the legal rights of our clients. 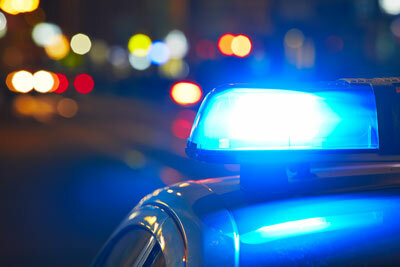 Contact our legal team today directly at 603-935-7425 for a Free DUI Consultation. A single mistake does not have to ruin your life. Because you have so much riding on the outcome of your New Hampshire DWI case, it is critical that you take the matter seriously and act with a sense of urgency. This is not the time to bury your head in the sand and go into denial. Rather, you should be proactive and do what it takes to best protect the interests of you, your family, your license, and potentially your freedom. A first step in this process is to seek the most effective legal counsel as possible. With respect to effective criminal defense attorneys, particularly those who handle DUI cases, experience matters. Attorney Teale has several years of experience in the practice of law and has represented hundreds of clients in various DUI matters. Attorney Teale fully recognizes that every case is unique, and because of his significant experience he understands that there is no one-size-fits-all approach to a New Hampshire DUI defense. Rather, each issue presented in a DUI-related matter requires individualized treatment. Second, if the driver’s blood alcohol content is .08 or greater (.02 or greater if the driver is under the age of 21). New Hampshire State Troopers and police officers are well versed in recognizing suspicious driving patterns, and they are highly trained in identifying signs of impaired drivers. When a member of law enforcement has reasonable grounds to believe that an individual is operating a vehicle while impaired by drugs, alcohol, or both, the officer has the right to request that the driver submit to field sobriety tests, as well as certain chemical tests. Depending on the test results, an arrest may be made. An automatic license suspension may also be applied if an individual refuses to submit to such a test (pursuant to New Hampshire’s Implied Consent Law). Anyone who has their license suspended as a result of New Hampshire’s Implied Consent Law has only thirty (30) days to request a hearing on the matter. If you do not request a hearing within thirty (30) days your license will be suspended between six (6) months and two (2) years, depending on whether it is your first offense. A New Hampshire DUI case is made up of a criminal law component as well as an administrative law component. If you have been charged with DUI, you must deal with both aspects before your case is fully resolved. The “per se” offense of driving with a blood alcohol concentration (BAC) of 0.08% or higher (or 0.02% if under 21). Convictions for aggravated DUI and repeat offenses result in harsher criminal penalties. You refused to submit to chemical testing. 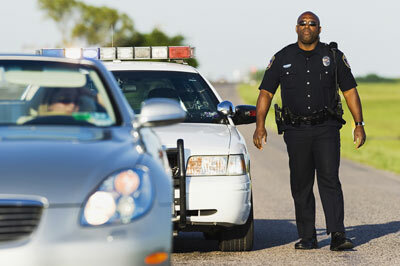 In these instances, the police will confiscate your license upon arrest. An officer will give you a pink form that serves as both a notice of suspension and a statement of temporary driving privileges for 30 days. In this 30-day period before the ALS takes effect you have the right to request a hearing before the New Hampshire Department of Motor Vehicles (DMV) to determine if the license suspension is warranted. Failure to request an ALS hearing will result in an automatic driver license suspension – of at least six months and up to 2 years depending on your record – that takes effect on the 30th day after the date of arrest or results of the blood test. Teale Law requests ALS Hearings in all DUI matters. These suspensions may be successfully contested by an experienced New Hampshire DUI attorney, but only if you contact the DMV within thirty (30) days to request a hearing. In other words, if you have any chance at fighting the possible suspension of your driver’s license, you must request a hearing during this time period. Attorney Teale handles many ALS hearings and has successfully contested many suspensions on behalf of his clients. In other words, one of the greatest attributes New Hampshire has to offer its residents and visitors alike is access. The state’s countless highways, turnpikes, city streets, and back roads make up a network that connects drivers to anywhere and everywhere. This access is highly beneficial to motorists in a state with both varying distances between downtowns and residential areas; suburban and rural areas; and long stretches of state and interstate highways. Unfortunately, this ease of access does not come without a downside. 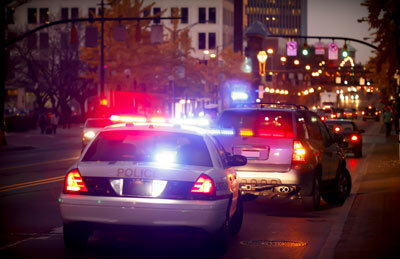 In fact, the prevalence of DUI arrests and DUI-related deaths in New Hampshire is a deadly-serious problem. Despite the far-reaching and well-known risks and dangers associated with driving under the influence (commonly referred to as “DUI” or “DWI”), far too many DUI arrests occur in the Granite State every year. If you have been arrested for and charged with DUI in New Hampshire, you owe it to yourself and your family to contact a reputable and successful DWI attorney to handle your case. At Teale Law, we work hard for our clients. With so much on the line, you need a legal team committed and dedicated to fiercely defending your legal rights. Call Teale Law today at 603-935-7425 to schedule your free dui consultation.